Whether you celebrate Rosh Hashanah or participate in the new school year in any way, they can provide helpful markers for reflection and a new start. It’s November, and that means Summer has come and gone, and Fall is in full swing. For many Angelenos, this means the start of a new year. It’s both the start of the school year and the beginning of the Jewish year. What do these two have in common? The Jewish New Year, called Rosh Hashanah, and the start of the academic year are both times that many experience as bittersweet. On the one hand, it’s an opportunity for growth and new adventures, while on the other, it’s a time to reflect on the year that has passed. As someone who grew up observing the holiday of Rosh Hashanah, it always made sense to me to start the school year right around that same time. 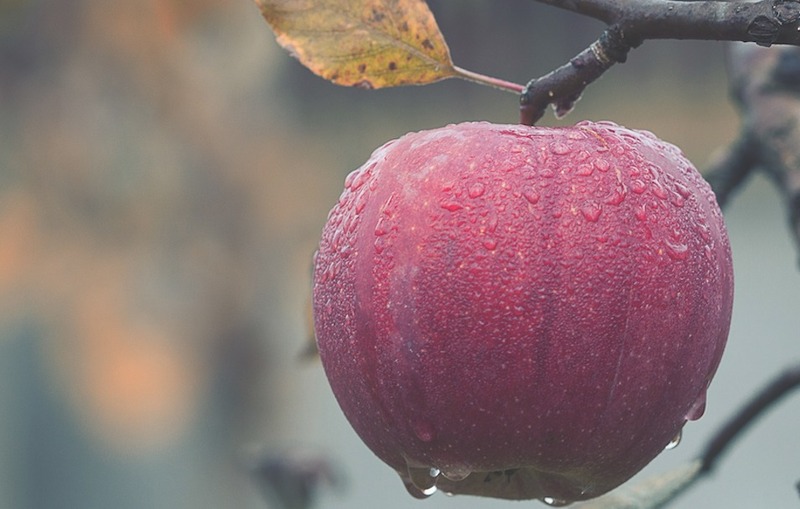 In addition to constituting the Jewish New Year, Rosh Hashanah serves as a holiday for reflection of one’s past year, and the ways in which one can incorporate these reflections into improving oneself for the upcoming year. This is just like making “New Year’s resolutions.” However, beyond deciding to eat healthier, get a gym membership, volunteer at charities, or other cliché examples, there’s a more introspective component involved. It’s about looking forward. It’s not just about asking what I would like to do this year of which I didn’t do enough last year. It’s about asking which aspects of yourself you like and with which you feel satisfied, and where there might be room for improvement. Did you feel confident? Are your relationships with others meaningful? Is your relationship with yourself rewarding? In other words—questions that many people who are considering beginning therapy might ask themselves. All of That in One Day?! Although Rosh Hashanah is considered the official first day of the new year, in Judaism it takes about a month of holidays to begin the New Year. During that month, we celebrate Rosh Hashanah, which is about reflection; Yom Kippur, which occurs 10 days later and is about acceptance; then we celebrate a weeklong holiday called Sukkot that acts as a time for intentional joy, culminating in a final day of celebration and ecstasy called Simchat Torah. The idea is to mentally prep yourself for another year of life and then to be present to all of the possibilities and excitement that this year has to offer. Thanks for the Lesson in Judaism, But How Does this Help Me? Reflection. Reflect on your accomplishments over the past year. Every one of us has something of which we can be feel proud, whether big or small. Think about the areas of your life that are good and consider how you can make them great. Call to mind the areas that are great and imagine how you can make them even better. And contemplate about the areas that are less than good and weigh how you can turn those things around. Acceptance. Maybe you hit some milestones, maybe you didn’t, but either way you’ve made it through another full year. In other words, there’s no turning back the clock, so you need to accept that the past year was the best it’s ever going to be. It’s only once we’ve truly accepted how things in life are, can we begin the journey towards growth and development. Plan for Joy. This one is definitely easier said than done. You’ve reflected and you’ve accepted, and now it’s time to implement. Approach this year as a year you will fill with as much joy as possible. Celebrate being alive. Celebrate your abilities. Celebrate the opportunity to take the things you could’ve done better last year and do exactly that. Do it better. And know that come the end of this year, you’ll get to reflect on all of these accomplishments with joy. Although the Jewish New Year and the School New Year occur in the Fall, these ideals can be applied to any time that best suits you. Maybe it would feel more appropriate for you to implement this timeline to December and have the week from Christmas to New Years Day be your time for joy. Maybe you’ll want to use these steps during your birthday month. Ultimately, the purpose here is to help move us forward and keep us from getting stuck in the past, or potentially worse, to be complicit. So, if you can use your past to improve your present, odds are that you’ll have a better future. I’m Joshua Goldstein, M.A., one of the therapists you could see at Wright Institute Los Angeles where we offer Affordable Therapy for Everyday People! Joshua is a doctoral candidate at The Chicago School of Professional Psychology, Los Angeles. He has previously trained at Maple Counseling Center and The Chicago School Counseling Center, working with adults and college aged individuals. He believes that the therapeutic relationship between therapist and patient plays an important role in the treatment and works primarily from an object-relations perspective.